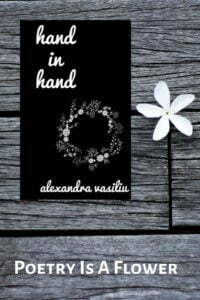 Have you read my debut poetry book, “Hand In Hand”? If so, I would love to hear your opinion about it. You would make me very happy if you could write a short and honest Amazon review here! I would appreciate your kindness. If you haven’t read it yet, you can still grab a copy or enjoy my poems for free with Kindle Unlimited. It is always time to let yourself dream and plant beautiful flowers in your heart.